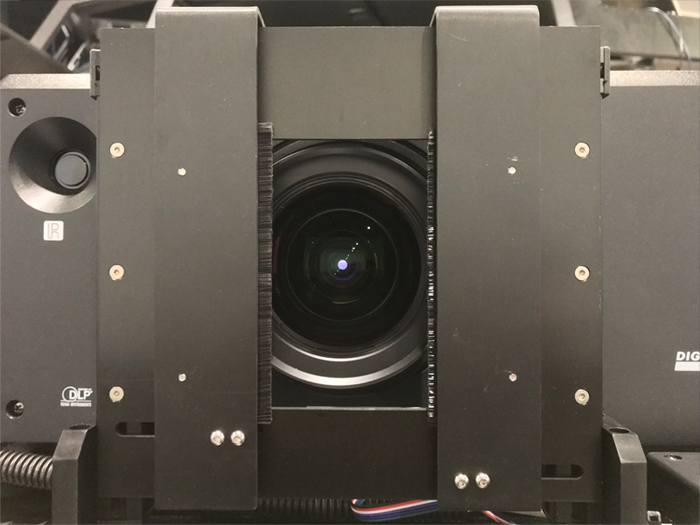 I've been crafting solutions for a diverse industries — from commercial AV, simulation and training, art gallery and museum, to anything in between. 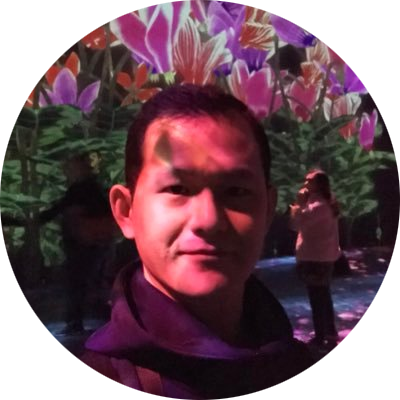 Drawing through my experience in multidisciplinaries such digital signage, videowall, dome projection, immersive display and visualization, control and interactive system. 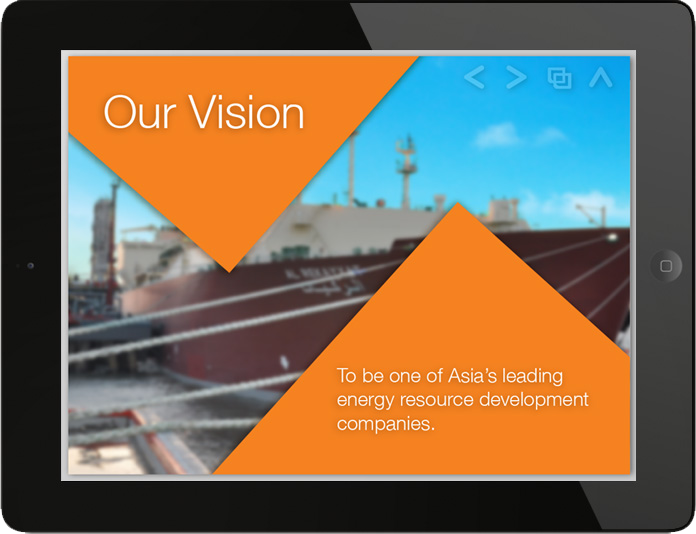 I also lead and manage a team of service engineers serving Asia Pacific region. In my past incarnations, I was in a more developer-centric role across a few domains — interactive multimedia, web developement and IT administration. My interest outside of work include badminton, amateur photography, programming and tinkering with Arduino and Raspbery Pi system to the IoT collectives. I publish some of my code under Github. Automatic day and night projector blending system with flexible communication control. 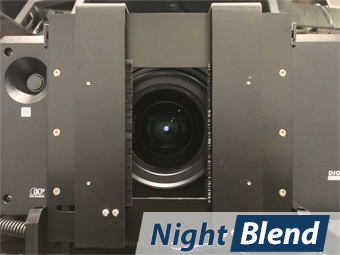 NightBlend improves the blending area during night time scenario by blocking the extraneous light, giving you a more uniformed black across projectors. The system listens to cue generated by IG through a number of protocols — TPC, UDP and Serial — and seamlessly transition between the internal electronics blend and external NghtBlend. 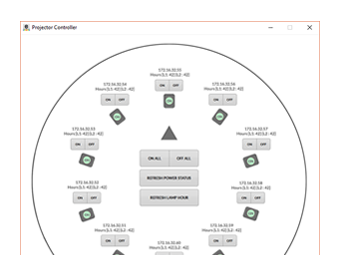 Control PowerPoint slides through Extron or Crestron control systems. 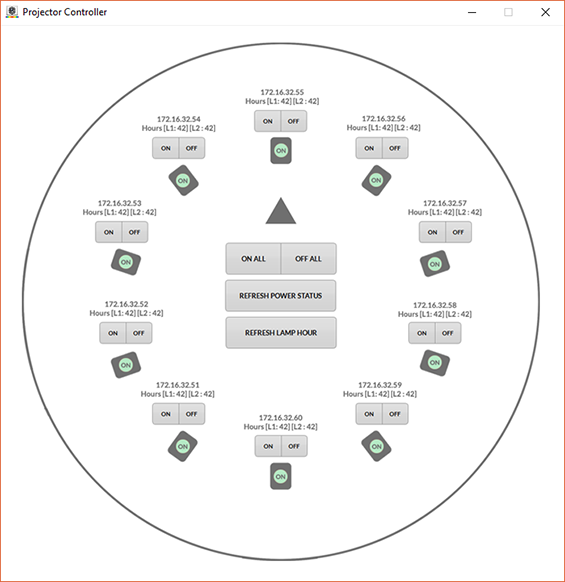 This utility bridges conventional Extron or Crestron control system with Microsoft PowerPoint through COM object automation. 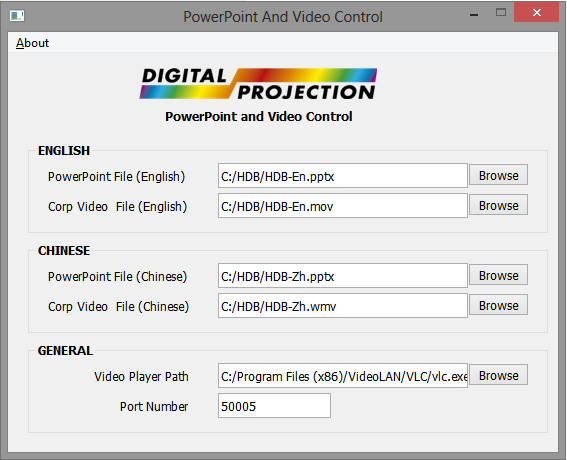 It simplifies the control by exposing PowerPoint as a controllable socket with simple commands — open, close, previous and next. 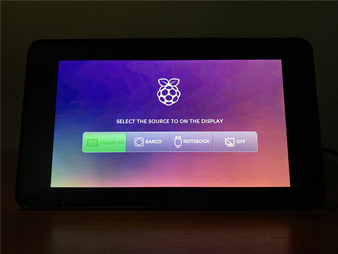 A custom 7-inch Raspberry Pi based touchscreen boardroom AV controller. 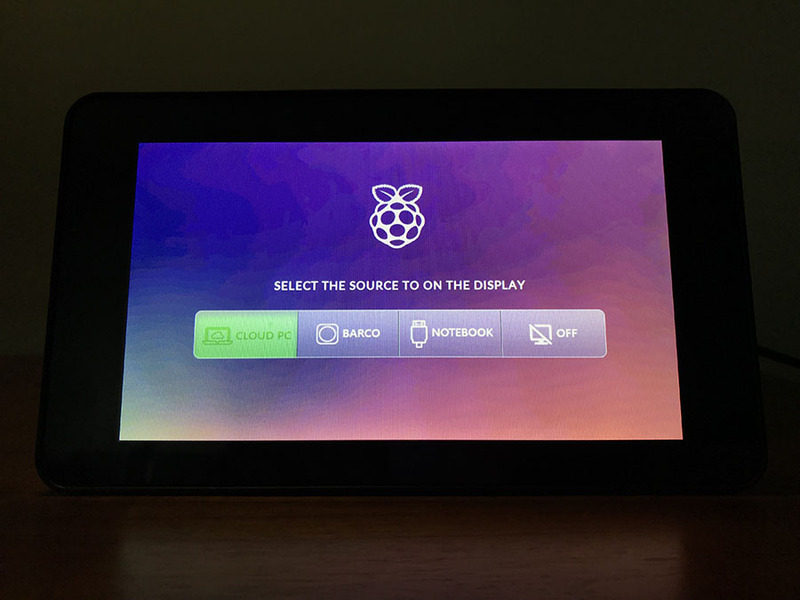 These 7-inch controllers are based on Raspberry Pi ARM7 processor with an optimized base system. It boots and run straight into fullscreen Qt app. More than a dozen of these controllers were commissioned as boardroom AV controller. Networked projector controller, group/individual power control and lamp usage retrieval. Networked projector controller for simulation training center with group and individual power control and lamp hour usage retrieval. 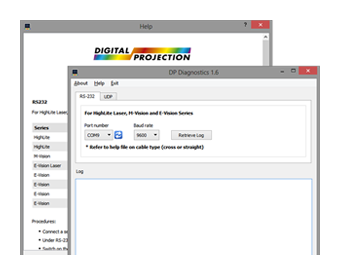 Digital Projection unified diagnostics utility for multi-series projector. 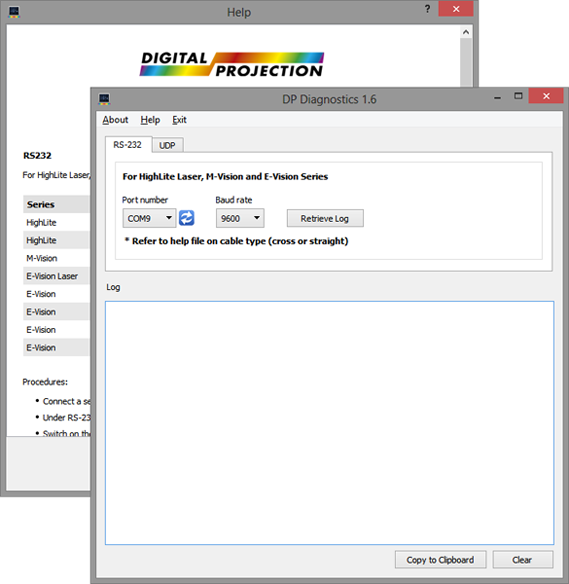 Unified diagnostics utility for Digital Projection E-Vision, M-Vision, HighLite and Titan Series. This utility supports different interfaces that come with each series. For RS232 connectivity, it will automatically detect the correct COM port available on the system. Available to download for Windows platform. 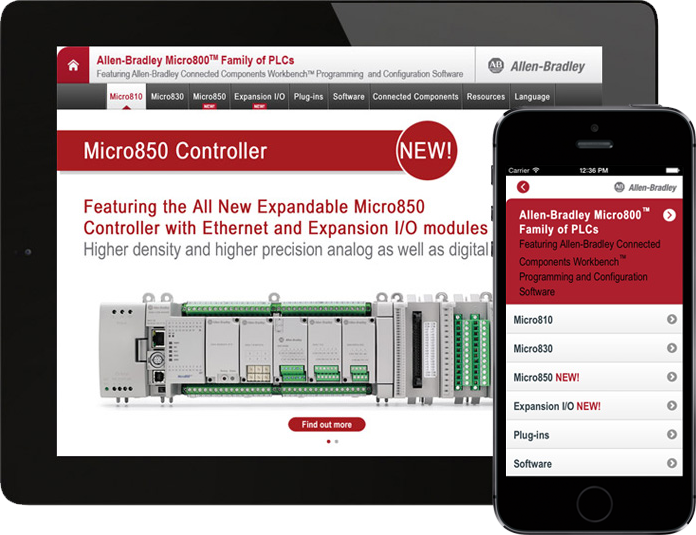 Rockwell Automation multi plaform catalog — iPad, iPhone and responsive mobile web. 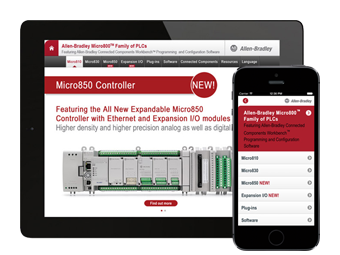 Rockwell Automation catalog for iPad and iPhone. 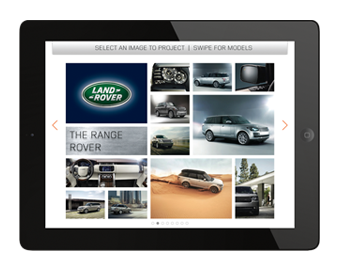 Also available as responsive mobile web. SGBusRouter iPad app — shows bus stops and services in Singapore. SGBusRouter iPad app — shows bus stops and services in Singapore. This app was conceptually ported from Chee-Aun's web based version and was available in AppStore for a few of years until end of 2015. The Xcode project and outdated bus data are published at Github. 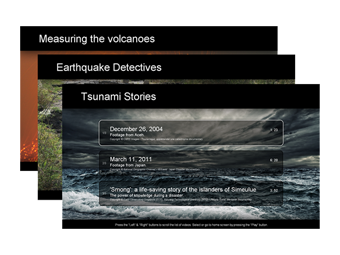 Dataton WatchOut control app — WatchOut show timelines and media tween control. 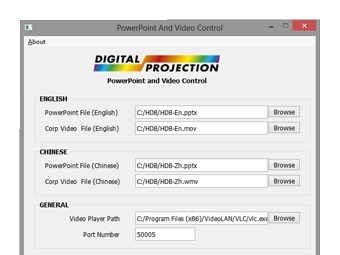 Dataton WatchOut show control app — controls WatchOut show's auxiliary timelines and different video tweens. 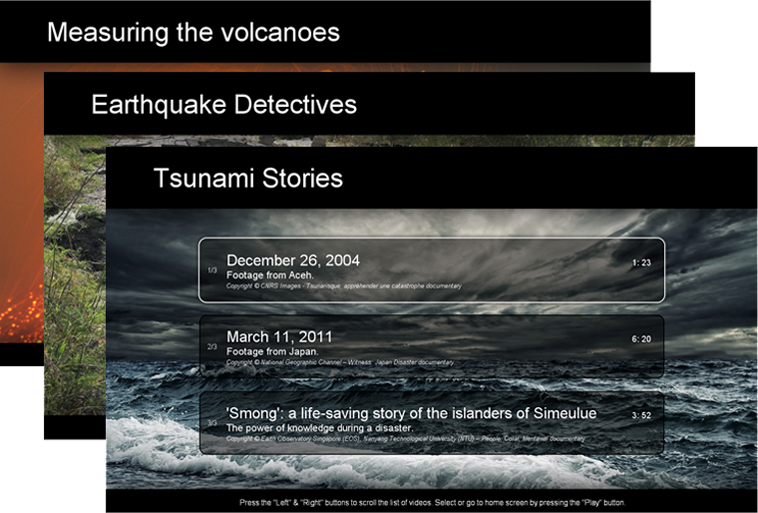 Video playlist with button control — play, stop, previous and next video selection. A number of these PC based video playlist were installed in Earth Science Center. Each playlist can be navigated using physical button control — play, stop, previous and next video selection. Timed quiz with random questions pulled from a bank with final score calculation. 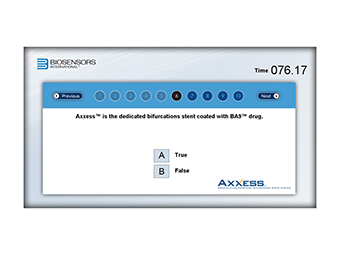 Timed quiz app for BioSensor with 10 random questions pulled from a pool of question bank. Player can skip a question and answer it later within the time limit. Once the time is up, the final score will presented. Dataton WatchOut and AV controller — power on/off equipments and show trigger. 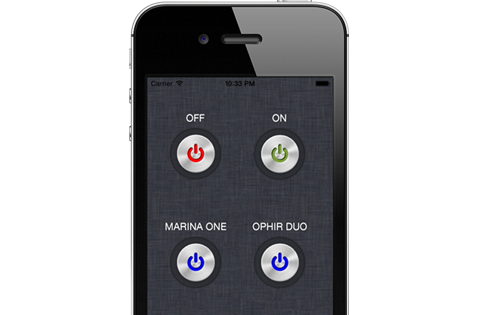 Part of a larger control system to power on/off equipments and to trigger WatchOut show. 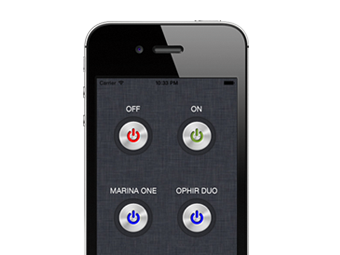 This iPod app works in tandem with AVController in 2 Dome Projection showflat projects. 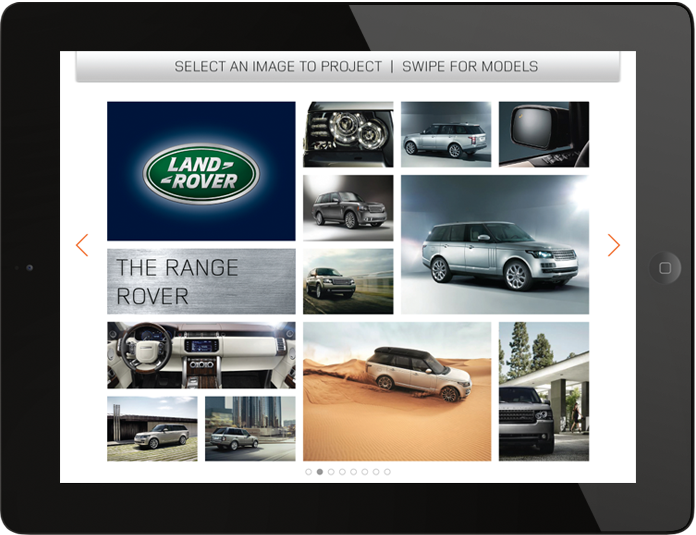 Custom iPad presentation app with slide and video control and interactive bullet points. 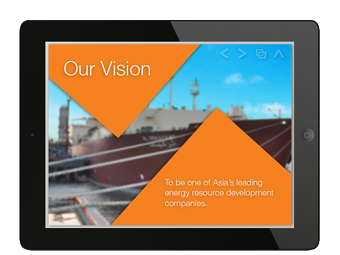 Custom iPad presentation app with slide and video control and interactive bullet points for an Oil & Gas company.